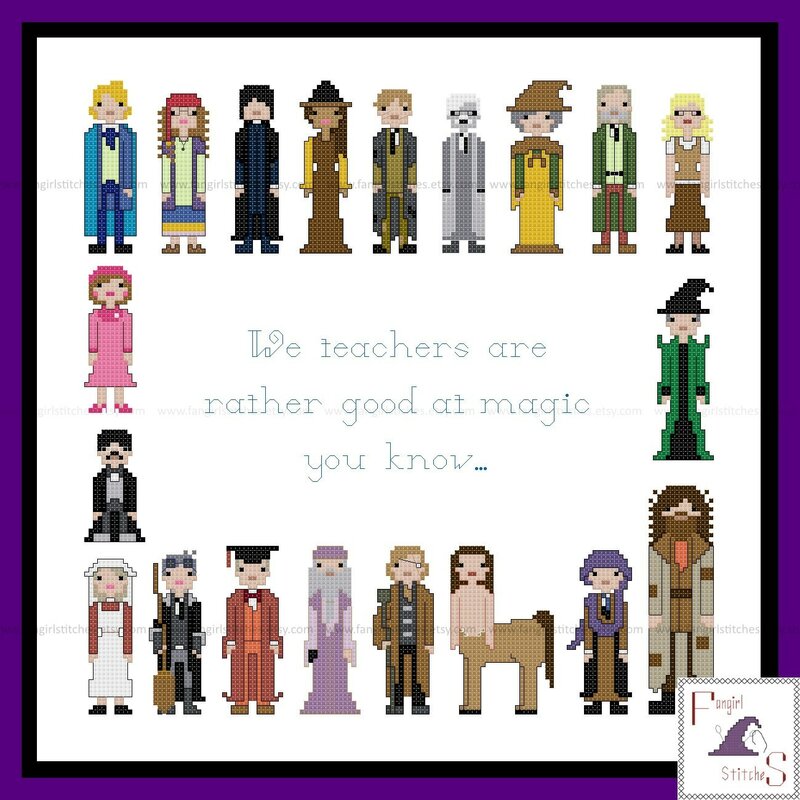 "We teachers are rather good at magic you know"
This design includes whole and fraction stitches, back stitch, and a couple of French knots, and is suitable for intermediate stitchers. The pattern comes with 3 colour charts, including a guide for starting and finishing your project. The main floss key is in DMC. Conversions have been included for Anchor and J&P threads, although of course you can adapt it to suit your preferred brand of thread, or those left-over threads you have on hand. This pattern uses blended threads – one strand from two different colours through the needle. These are indicated by an * in the key, and listed in full in the pattern’s instructions. This is a parody (inspirational) work. 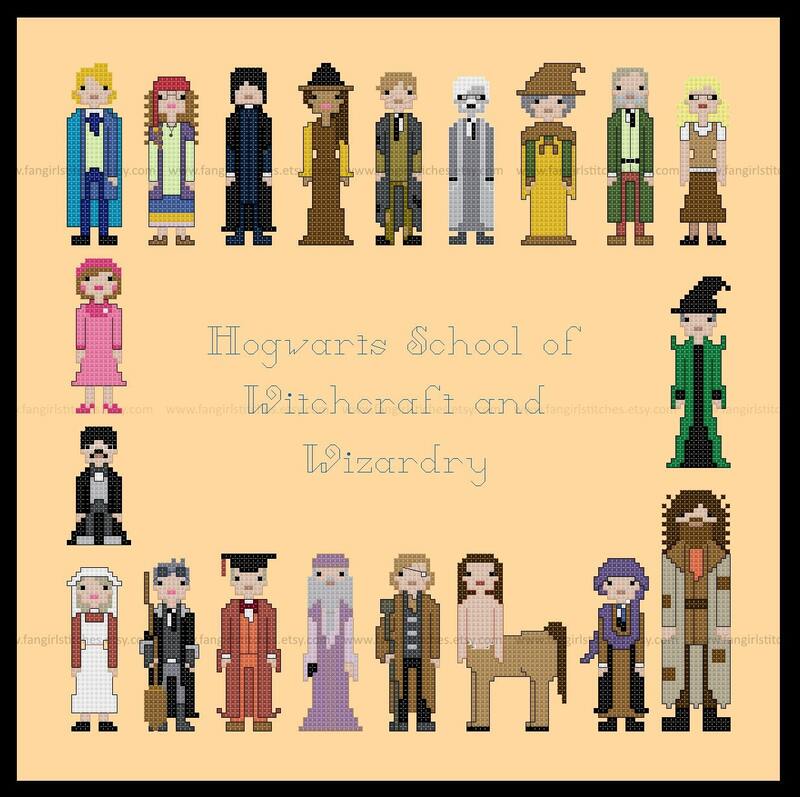 Harry Potter and its characters are registered trademarks of Warner Bros. Entertainment, Inc. This production is not sponsored, endorsed by or affiliated with Warner Bros. Entertainment, Inc. or any of its subsidiaries or affiliated companies and/or third party licensors. Well made pattern, very cute. 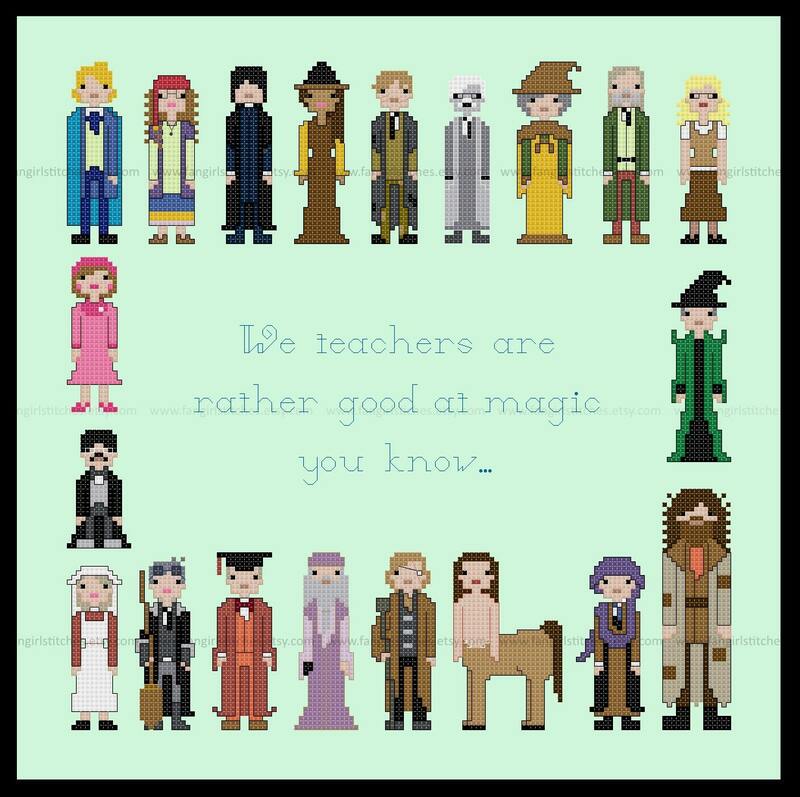 Such a great cross stitch pattern! When I came across it I knew I had to have it.